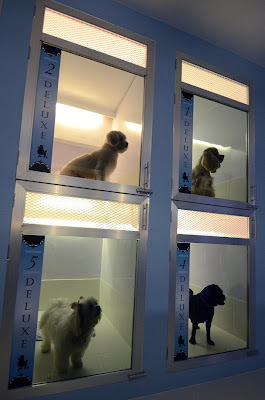 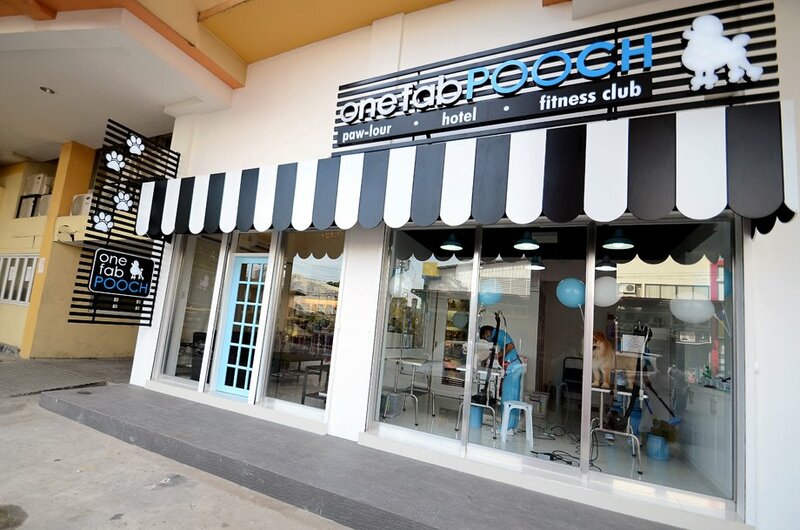 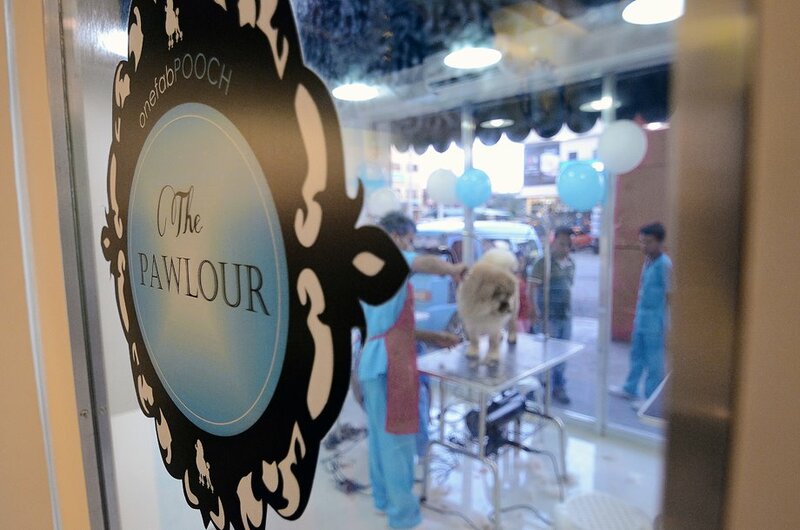 One Fab Pooch is Davao's first and only one-of-a-kind upscale professional dog salon complete with grooming services, hotel and fitness facilities under one roof for every modern pooch’s lifestyle right at the very heart of downtown Davao City. It is a stylish one-stop-shop dog salon where pooches are treated with ultimate pamper wash, creative styling, and teeth cleaning by a team of professional stylists, meet and interact with equally fabulous paw-friends, and where their masters can shop for the latest in dog outfits from the Pawtique, luxe treats and chic doggyblings from the Poochy Couture Collection, and meet new circles of dog-lover friends as well. 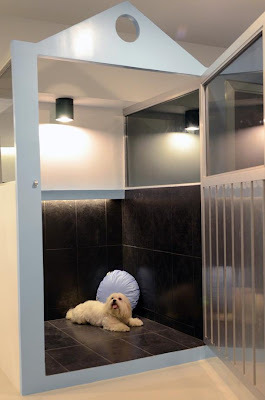 Here, dog-lovers no longer have to go through the mess of grooming their pooches at their own home nor the hassle of transporting them from to the salon. 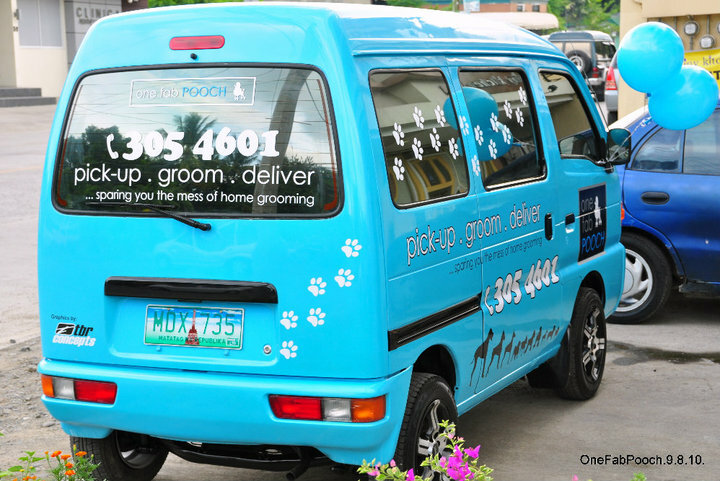 One Fab Cab, the first and only pick-up and delivery services, is only phone call away. 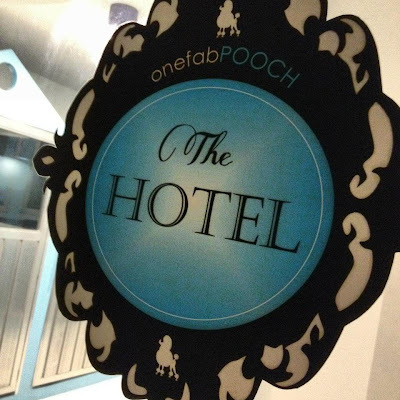 Launched in September 8, 2009, One Fab Pooch is the brainchild of dynamic partners, Patrick Moran and Ina Bautista, and Jun and Mimi Tupas who are dog lovers themselves. Following the success of The Professional Doggie Paw-lour, the One Fab Pooch Hotel & Fitness Club was opened to the public on May 8, 2012. 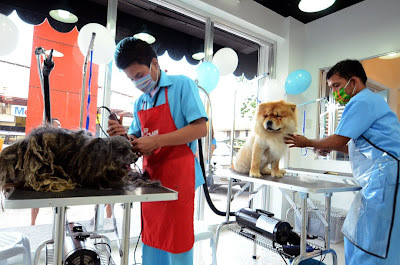 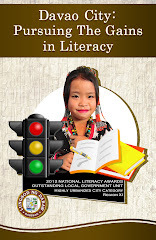 The salon was featured in national television programs in GMA-7's Kapuso Mo, Jessica Soho and Unang Hirit. Now, dog masters will have complete peace of mind to get through vacation, business trip, or simply a busy day ahead. The One Fab Pooch Hotel & Fitness Club has 21 comfortable rooms for pooches: standard, deluxe, and suite on daily rates. Meals, potty schedules, and daily walks are provided to the pooches like having their own holiday! 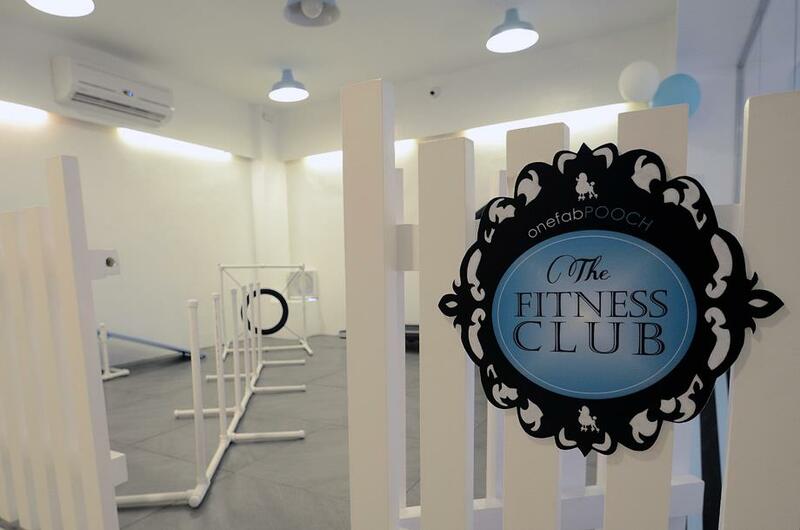 During the pooches' stay, the One Fab Pooch Hotel & Fitness Club also provides fitness and playgroup activities which ensure that the dogs are properly exercised and well socialized with the other guest-pooches. 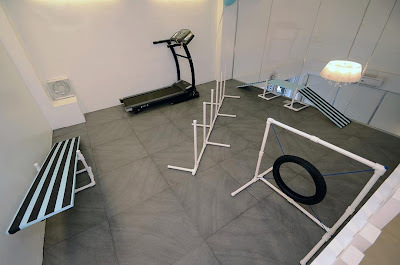 The Fitness Club is a total workout center especially designed for dogs that not only assures agility and obedience through supervised agility and use of gym and obstacle equipments, but energies well-translated into fitness and playgroup fun activities to make the dogs happier and healthier. 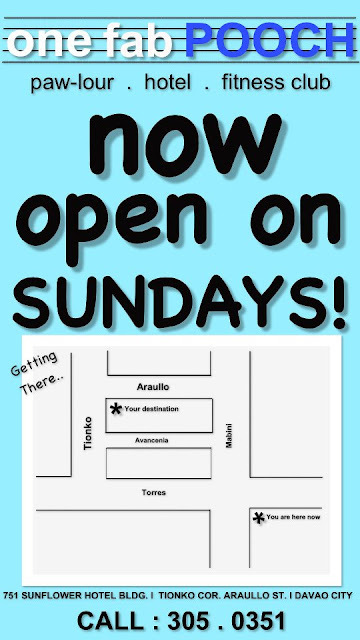 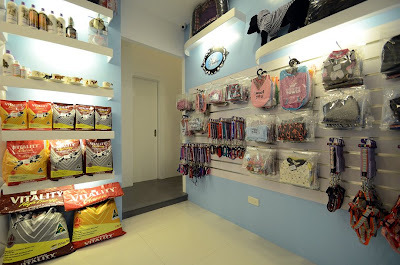 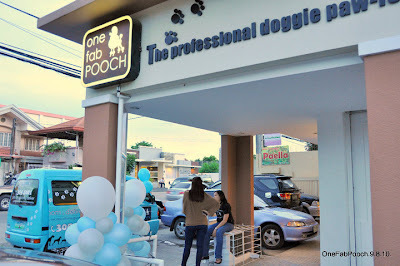 One Fab Pooch Davao is open from Mondays to Sundays at 8 AM to 6 PM. Tour of the facilities are also welcome from 9 AM to 7 PM. 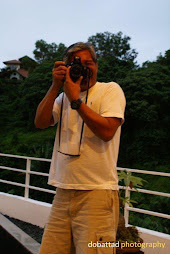 It is Earl, and very creative too!